- 32-bits RISC processor and special video encoder which can be up to 3M pixels encoding performance. 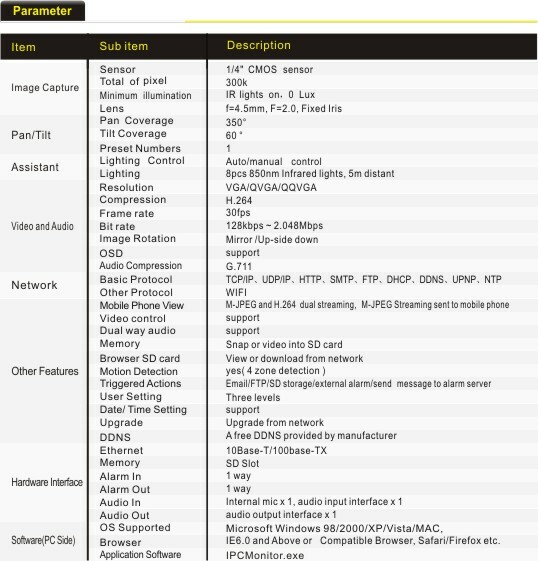 - Support H.264 Main Profile@Level3.0 compression format, bit rate is smaller, and the image is more clear. It is more convenient for transferring through Internet and save more storage space. -VGA/QVGA/QQVGA resolution optional. User can change some specification according to their demands to satisfy his own visual prefer. - Support external microphone or line-in audio input signal to send out the live sound. - It was equipped with pan/tilt function, horizontally 350°and vertically 60°. Its outlook is smart, easy and convenient to install in many sites. - Built-in web server, support video view and parameter settings by browser; use one port to send all the data, it facilitates network setting. 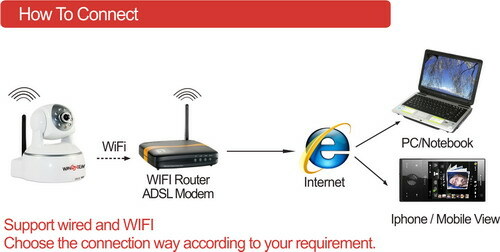 - Support 802.11b/g protocol, can build-in wireless monitoring. - Supports UPNP, port forwarding automatically on the router. - Alarming record can be stored by email, FTP server. 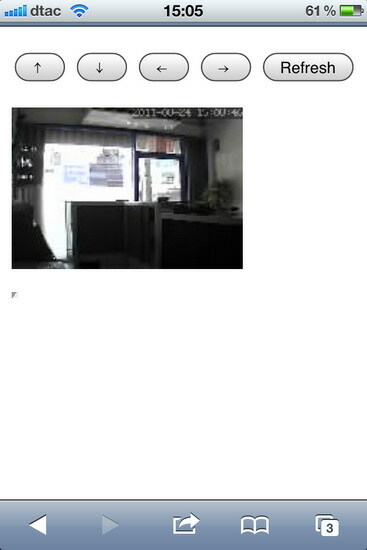 External alarm can be open when detecting unusuality. It also sends alarm info to the alarm server. - Infrared LED for night vision covers 5m area, to realize 24 hours monitoring..
- Support three level of user authority. 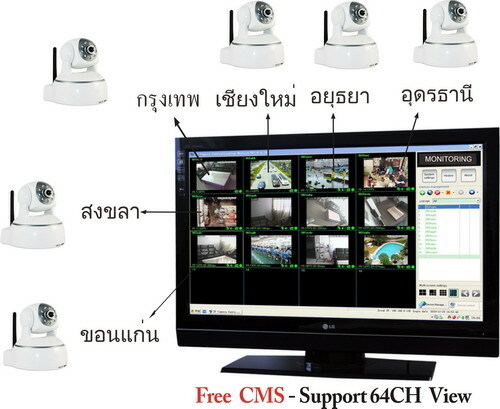 - Manufacturer provides free software, support Multi-view, Long time recording, video replay etc.